**VERY CLEAN****GREAT CONDITION**, **PRICED TO SELL**, **FRESH TRADE**, **TOWING PACKAGE**, AWD, 3.73 Axle Ratio, Trailer Tow Package. 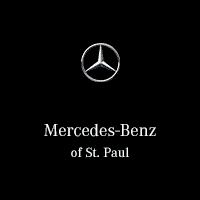 2010 Mercury Mountaineer Morrie's Mercedes Benz of St. Paul stands adamant that the experience of selecting and acquiring a luxury vehicle reflect the craftsmanship and performance of the vehicle itself. We offer an uncommon shopping and ownership experience, personally tailored to your interests, needs and schedule, resulting in an effortless, joy filled engagement. Each offering within our curated used collection is vetted, inspected and reconditioned by Morrie's Luxury Auto giving you the utmost confidence when selecting your new vehicle. Reviews: * If you like everything about the Ford Explorer, but you'd like to own a vehicle with a little more distinction, the 2010 Mercury Mountaineer may be quite appealing. Source: KBB.com -**VERY CLEAN****GREAT CONDITION**, **PRICED TO SELL**, **FRESH TRADE**, **TOWING PACKAGE**, AWD, 3.73 Axle Ratio, Trailer Tow Package. **ONE OWNER**, **ACCIDENT FREE**, **PRICED TO SELL**, **FRESH TRADE**, **NON-SMOKER**. 2011 Mitsubishi Outlander Sport 24/31 City/Highway MPG Morrie's Mercedes Benz of St. Paul stands adamant that the experience of selecting and acquiring a luxury vehicle reflect the craftsmanship and performance of the vehicle itself. We offer an uncommon shopping and ownership experience, personally tailored to your interests, needs and schedule, resulting in an effortless, joy filled engagement. Each offering within our curated used collection is vetted, inspected and reconditioned by Morrie's Luxury Auto giving you the utmost confidence when selecting your new vehicle. Reviews: * Aggressive styling; smooth, quiet ride; standard voice-activation system; affordable price. Source: Edmunds * Practical hatchback body style; competent handling; strong performance; full array of available high-tech equipment; edgy styling. Source: Edmunds * Avant-garde styling; one of the few convertibles in its price range; powerful V6 in GT; comfortable front seats; relatively roomy cargo area. Source: Edmunds -**ONE OWNER**, **ACCIDENT FREE**, **PRICED TO SELL**, **FRESH TRADE**, **NON-SMOKER**.